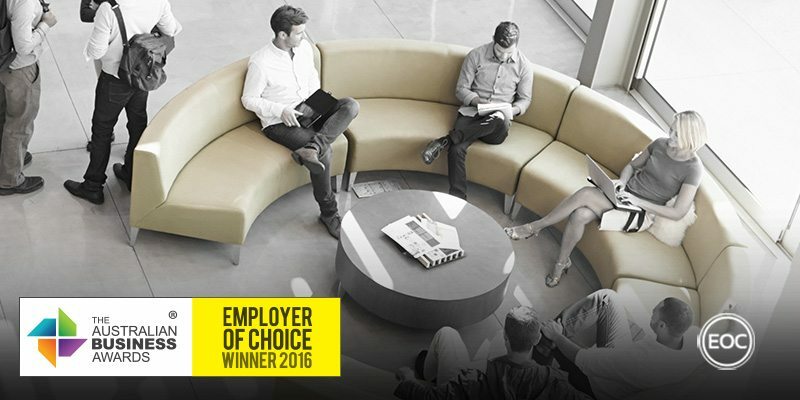 Sydney Airport has been recognised as an Employer of Choice in The Australian Business Awards 2016. Serving international, domestic and regional destinations in partnership with global airlines, Sydney Airport has a vision to deliver a world-class airport experience for the benefit of Sydney, NSW and Australia. Directly employing approximately 370 staff, the airport has adopted a workplace culture focused on integrity, safety, security, teamwork and sustainability. Sydney Airport deliver on their workplace culture through a dedicated people and performance team that aims to catalyse a high performance culture whilst also supporting staff to grow and develop. The resulting employee value proposition is authenticated through an employee engagement process that helps to ensure that the people and performance team are in-tune with the wider team and are delivering them the best outcomes. Sydney Airport runs an extensive Learning and Development program to foster staff engagement and development. In 2015, a suite of learning and development opportunities was available for staff, covering every staff member from the leadership team and managers to operational staff. They undertook wide consultation to attempt to understand the training, learning and development needs of the organisation before developing a training program assist with further developing the collective skillset of Sydney Airport staff. This focus begins at induction; every new employee attends a half-day program in their first few months. Running four times a year, the induction program is opened by the Managing Director and CEO and includes presentations from all general managers. New employees are given an overview of the airport to give them context around how their role contributes to the overall running of the airport so they can quickly assimilate into the business. Longer standing employees have their performance reviewed annually as part of the organisations commitment to high performance and individual development. When high performance employees are identified in the review process the Hay evaluation system is used to assist with ensuring equity in remuneration. There is significant pressure on Sydney Airport to maintain world-class safety and security standards. As such, the organisation has invested heavily in its Work Health and Safety policy, which is implemented throughout the business, from the Managing Director downwards. Reviews of the system are carried out regularly and improvements are made as a result. In 2015 the airport recognised an opportunity to re-affirm its strong ongoing commitment to safety by implementing a dedicated team of four new Ramp Safety Coordinators. Through their collaborative and consultative approach, the team has strived to support safe airport operations, improved operational efficiency.